eMarketer.com published an article and chart today with the title “How Effective is Sharing via Email vs. Social Media?”. While it certainly is important to learn which channels people will most like share content on, here’s the bottom line: people will share your content! If they find it compelling, and they think it has a chance of appealing to their friends, fellow employees, and other associates, they will most likely post it for them to read too. But along with providing quality content, we also need to make it easy people to share our information. This may include taking steps to put “Share This” links on our e-Newsletter articles or blogs. It may involve putting a “Tell a Friend” button on our emails. We may need to investigate how to allow someone to connect their Twitter of Facebook profiles to our forms, so that a post can easily be generated on their pages once they’ve filled out one of our entry forms (for example, the Mashable Awards entry form). We must also remember though that in the world of business, it’s not just about how many people Retweet us or Like! us. We need a bit of money to keep things going. 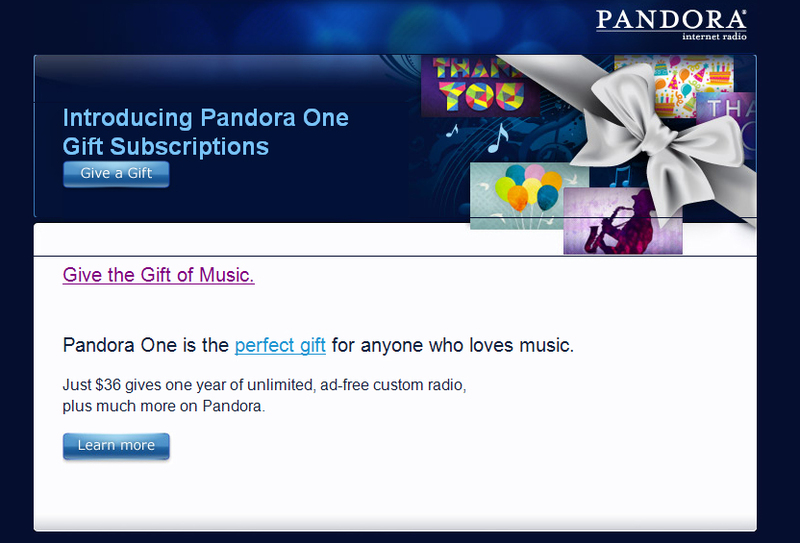 Pandora is capitalizing on the fact that people love their service. Their fans already tell their friends about it via word-of-mouth and social media… here, Pandora has made it easy (with a little bit of encouragement) for it to be shared with a little bit of green.